Celebrity Whitening offer teeth whitening products for salons, dentists and mobile technicians. We supply the industry with everything from complete business start-up kits to individual products. If you want to start your own business we can assist you with training, promotional material and supply everything you need to get started. We pride ourselves on offering the latest easy to use products and the highest level of service in the industry. If you have a teeth whitening business consider switching to Celebrity Whitening gel kits. Our kits include everything you need to provide an in chair treatment conveniently packaged hygienically for each client. We also offer affordable take home kits so your client can maintain their new smile. These kits are also a great add on sale for salons not offering in chair treatment. Teeth whitening is the second most requested beauty treatment next to hairdressing so you can be assured your clients will be keen to purchase the treatment. Our treatment gels are Australian Compliant, safe and highly effective. 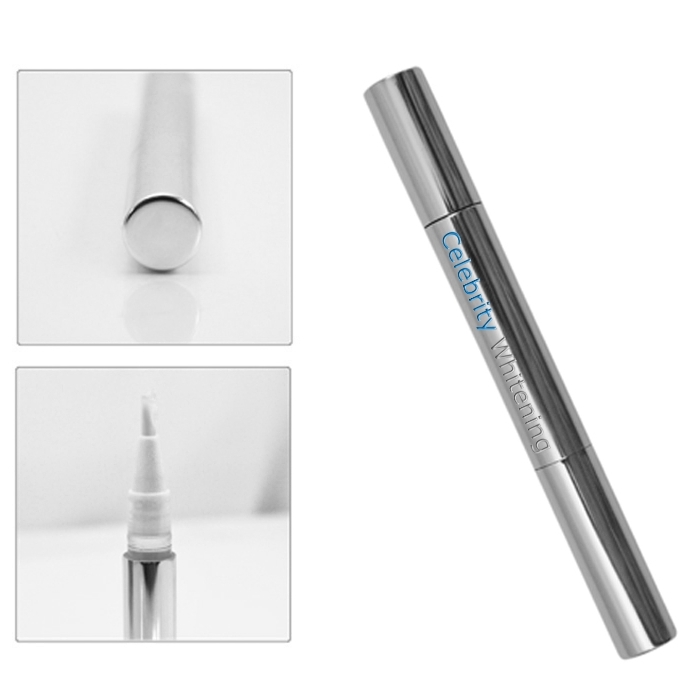 Our gel comes in an easy to use applicator pen with no mess and no waste. The pen allows the client to accurately cover the teeth avoiding the gum tissue. The gel pens are available in complete client treatment kits making servicing clients a breeze. A choice of 6% hydrogen peroxide gel pens or 18% carbarmide peroxide gel pens is available. We supply LED accelerator lamps which are used by technicians during the teeth whitening process. 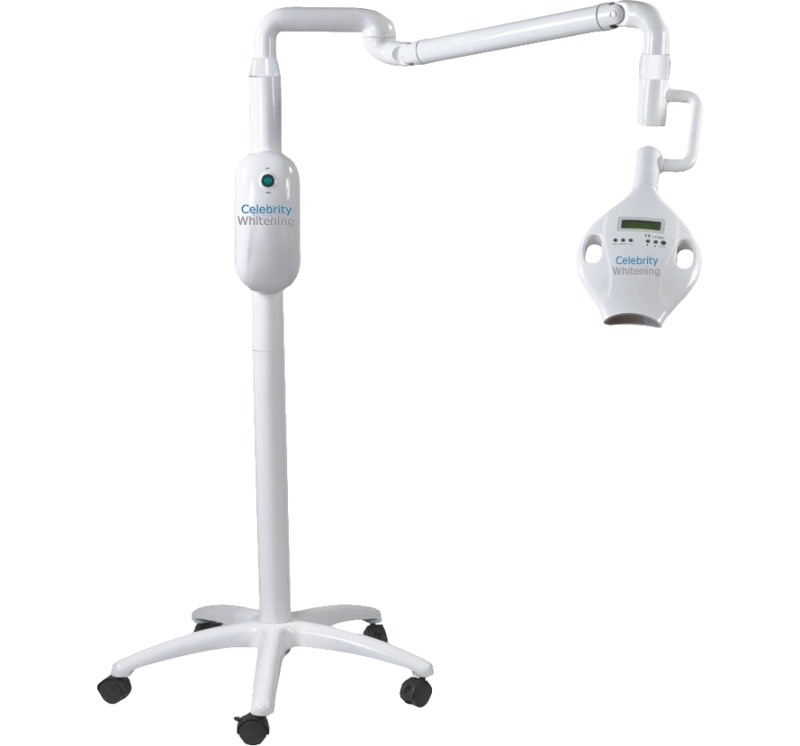 The lamp activates the gel on the teeth producing maximum results in less than 1 hour. Without the use of the whitening accelerator weeks of everyday treatment would be necessary. We have designed a treatment system that is easy to operate and comfortable for your client. Our non-touch procedure is hygienic and non-invasive. The process has been specifically designed for salons and mobile technicians to be simple and effective. We offer in salon training in many areas of Australia and have extensive training videos and manuals. We provide dentist with teeth whitening products and equipment at competitive prices. We have to option to provide our clients with kits branded with their own logo for either take home of in chair use. Our gels are available in a range of strengths for dentists with a choice of hydrogen peroxide or carbarmide peroxide. We have a range products including teeth shade guides, thermoform mouth trays, cheek retractors, bibs, vitamin e swabs and teeth whitening lamps. For a complete list of our products please contact one of our friendly sales representatives for good old fashioned service. Teeth whitening is a cosmetic procedure which will remove extrinsic stains from teeth and return them to the original colour from when they were first grown. Teeth whitening gel is topical and will not change the intrinsic colour of teeth thus making it a safe procedure.